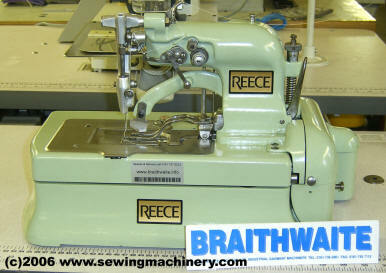 The Reece S2 & Reece 101 are two of the best-known models of chain stitch buttonhole machine in use today.. 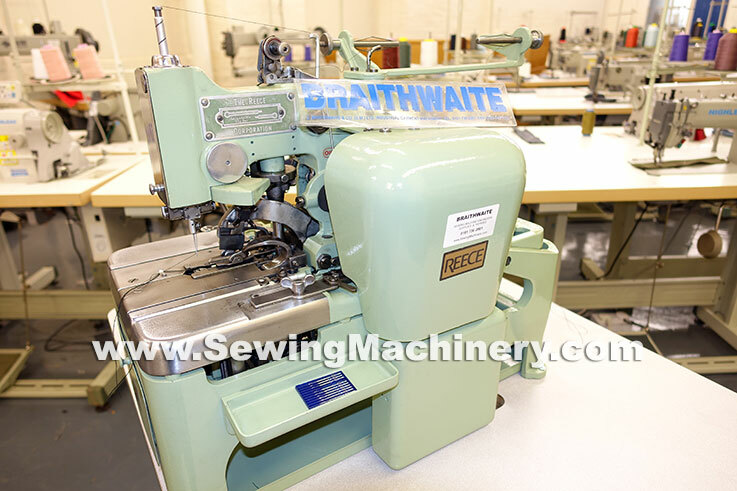 The model S2 (BHR) is an automatic high speed, single thread, chain-stitch machine for producing straight square ended buttonholes on garments such as dresses, blouses, shirts, knitwear, sportswear etc. The Reece S2 has been in service for many years and today its original design and robust construction has not been surpassed by other makes and models. 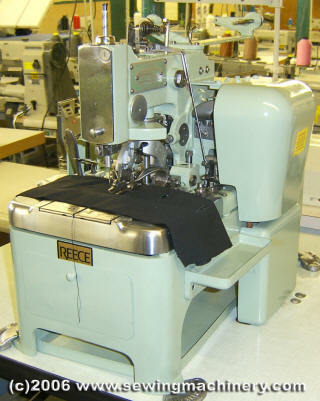 The model Reece 101 is an automatic, two-thread chain stitch buttonhole machine used to produce keyhole shaped buttonholes, in garments such as work-wear, rainwear, jeans, suits, trousers etc. This Reece model has set the standard for keyhole machines and is recognized through-out the industry as probably the best keyhole machine ever made. 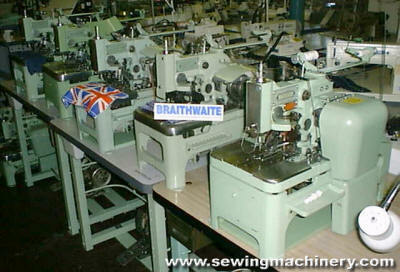 Both the Reece S2 & Reece 101 button hole machines are available from us Rebuilt or Reconditioned. 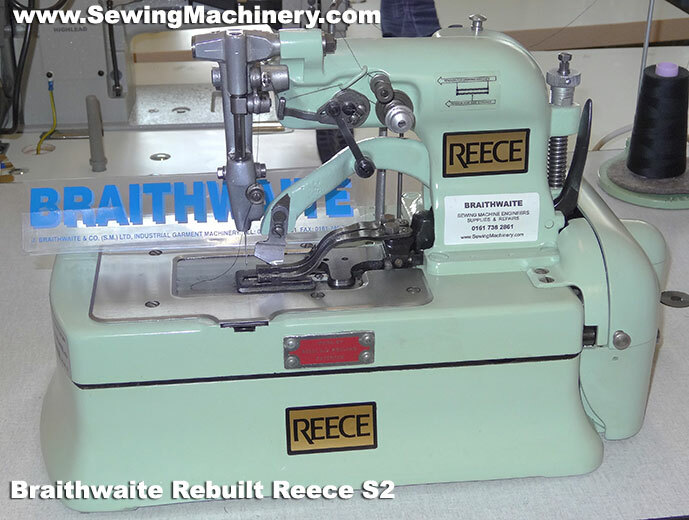 Example: Reece 101 RDE S or RDE M for producing sewn round eyelets..
Reconditioning and rebuilding of Reece buttonhole machines are specialist jobs which are carried out at our Salford, Manchester premises. Machines are stripped down, reconditioned or rebuilt, repainted, reassembled & tested by experienced specialist Reece trained engineers. As well as supplying Reece buttonhole machines we also supply used Reece label sewers, tackers & button sewers, Plus we stock Reece spare parts & carry out service & repair work. To find out more please contact us by: Phone, fax, mail, & Email.